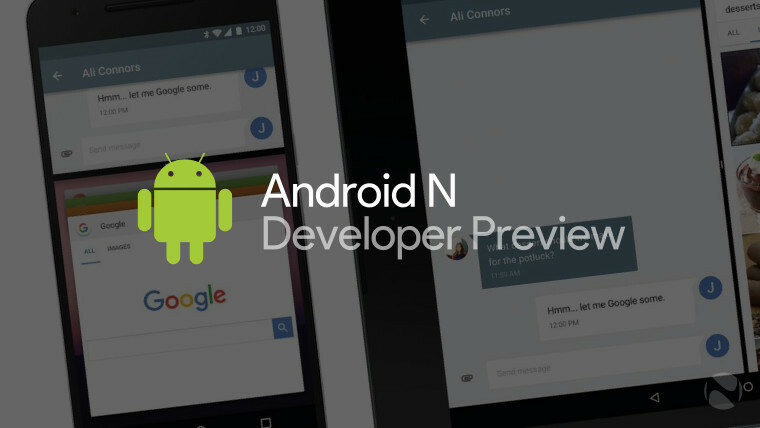 After various leaks this morning, Google has finally released the Android N Developer Preview. If you're like us, you'll probably want to install it onto your Nexus 5X, 6, 6P, 9, or Player right away. Flashing any kind of Android image onto a device can be a very tricky endeavor if you've never done it before. With Windows phones, a user installs an app and gets the OS preview over the air. With iOS, the user simply holds the Option key while clicking "Restore iPhone" in iTunes. 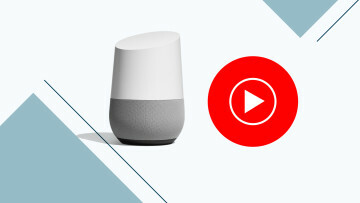 Google seems to be doing something with enrolling a phone in OTA updates, but the link that they provide shows an Error 404 at the moment, so it's not entirely clear what's going on there. Nevertheless, this is a guide for not just flashing Android images to a Nexus, but any Android image to any device. First, download the package that you need to install. The Google packages need to be extracted a few times before you're left with a ZIP file. Next, you need the Android SDK. 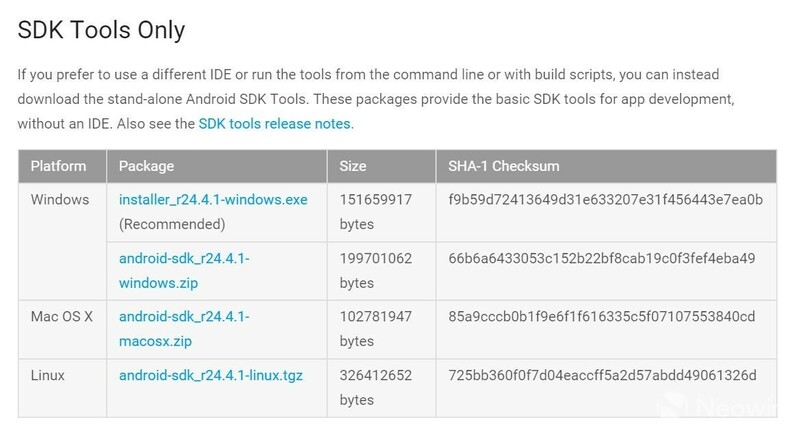 Assuming that you're not actually planning on developing apps, grab the SDK Tools Only at the bottom of this page. 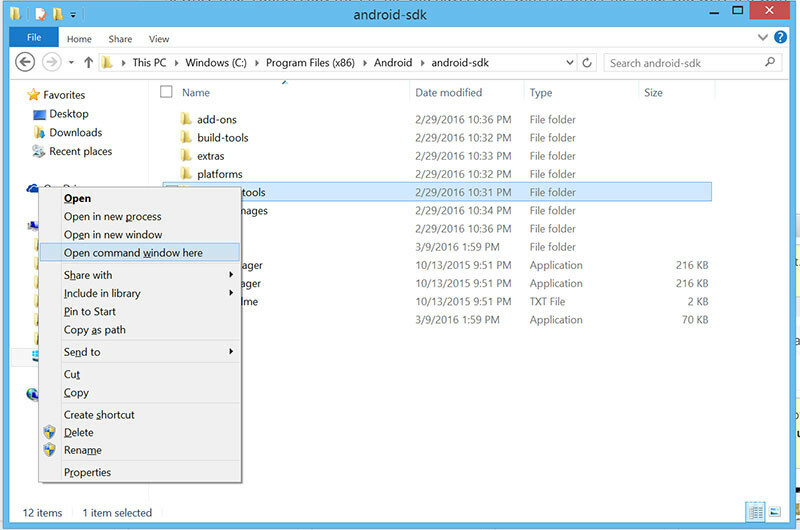 Once you've installed the SDK Tools, find the folder on your PC where it's located and open SDK Manager. 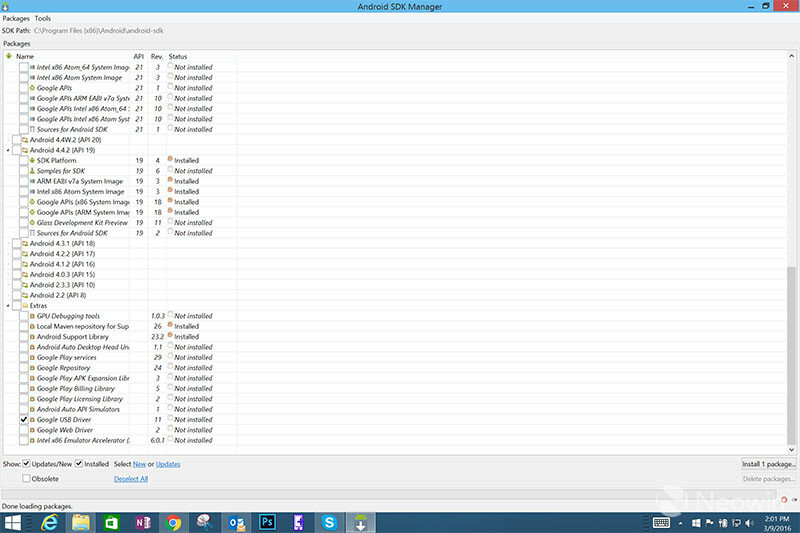 In SDK Manager, check off Platform-Tools and Google USB Driver. Click Install and agree to whatever terms the app provides. Once that's done, copy the ZIP file you have, along with the other files that you were left with (flash-all, etc.) to the new Platform-Tools folder. While holding Shift, right-click on or in the Platform-Tools folder and select "Open command window here". Next, on the device, go into Settings -> About, and find your build number. Tap it seven times. This will unlock Developer Options. On the main Settings screen, you'll now see Developer Options. Open it and turn on "USB Debugging". Next, plug your device into your PC. You might have to agree to some permissions on your device, but once you do, you should see your device in the command window. If you do, skip step 12. If you don't see your device in the command window, you need to install a driver for your device. That means that the Google USB driver that SDK Manager installed isn't enough. If it's a non-Nexus device, the OEM should have a web site that provides the driver. If you're using Windows 8/8.1, you have the Google USB Driver installed, and your PC isn't finding your Nexus device, try the Samsung USB Driver. 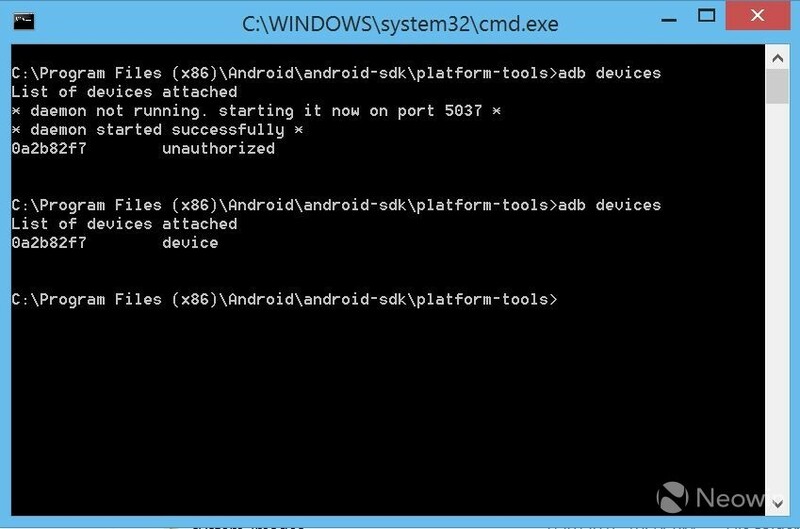 Once your device shows up when you type adb devices, move on to the next step. In the command window, type adb reboot bootloader. This will reboot your device into Fastboot mode. 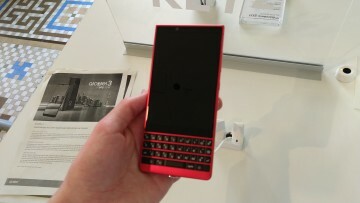 There are other ways of doing this, which vary by device type. Assuming all went well, you're ready to flash your Android image. 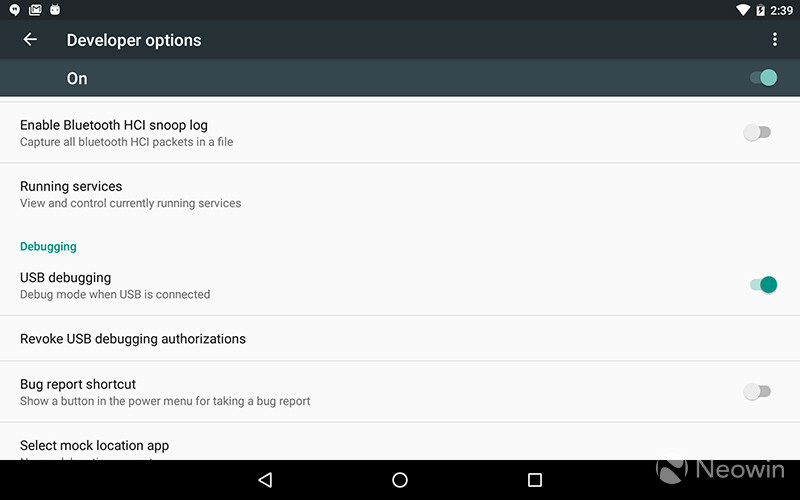 Use this step for a Nexus device. If you're using a third party OEM device or you get an error with this step, move to the next step. Type the following command: flash-all. After a few minutes, you're good to go. Reboot your device to set it up. You're all set with Android N! Just one note. The fastboot erase userdata command essentially does a factory reset of the device. 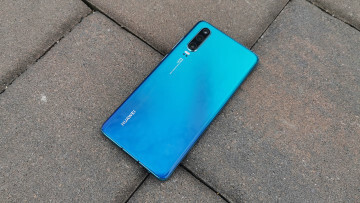 Some believe that if they don't perform this command, they can upgrade their device without losing their account info, apps, and other such information. I've never been able to do that without causing serious errors. When you're done, reboot your device and set it up like you would any other Android device. Have fun with Android N! Be aware that Google advises that the Android N Developer Preview is intended for developers only, and not for consumers - especially those with limited technical knowledge.